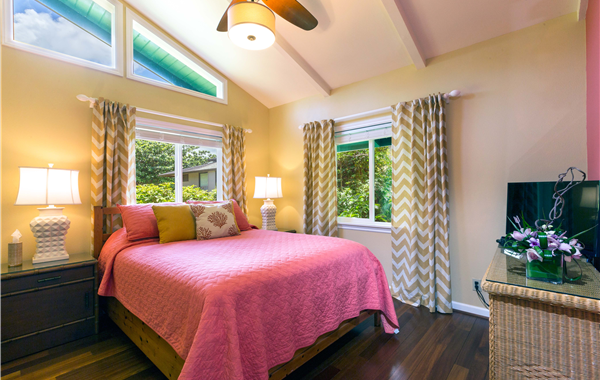 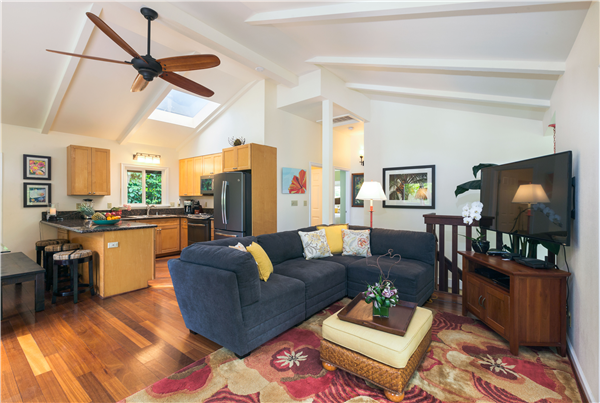 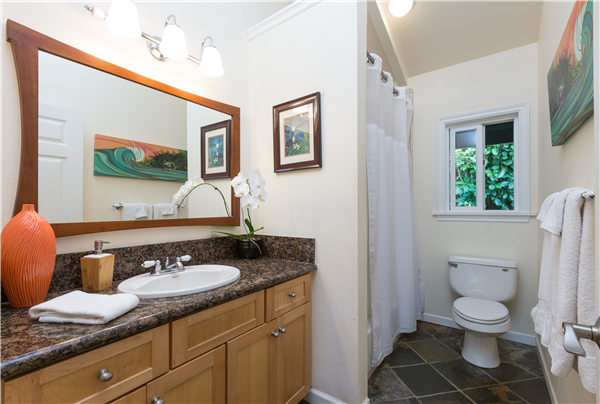 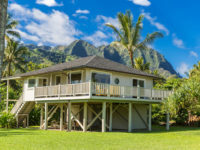 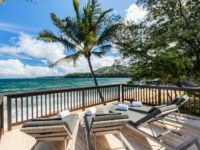 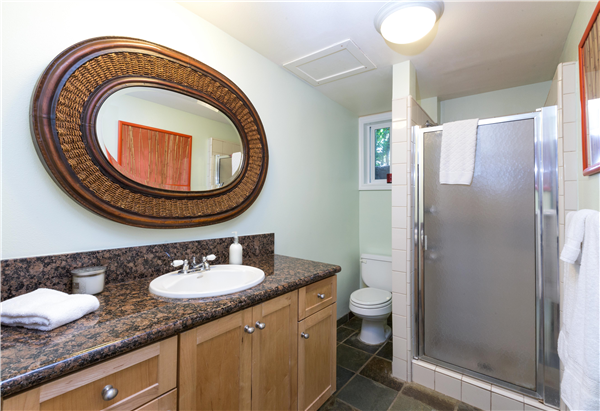 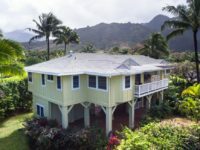 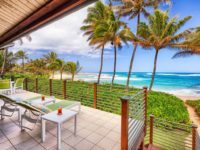 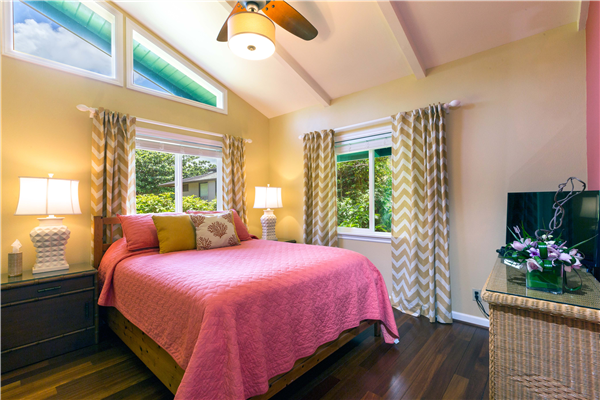 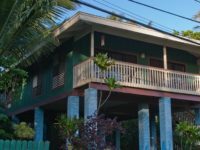 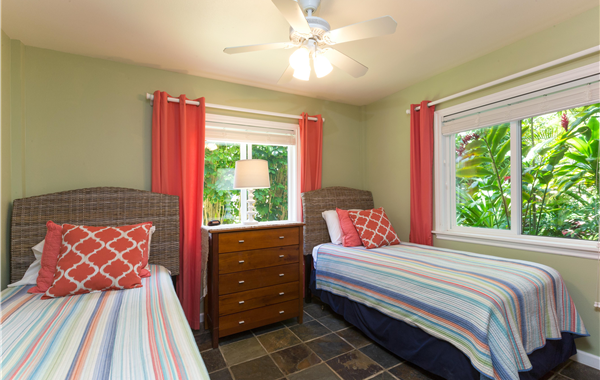 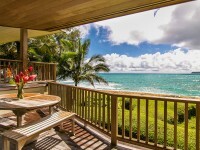 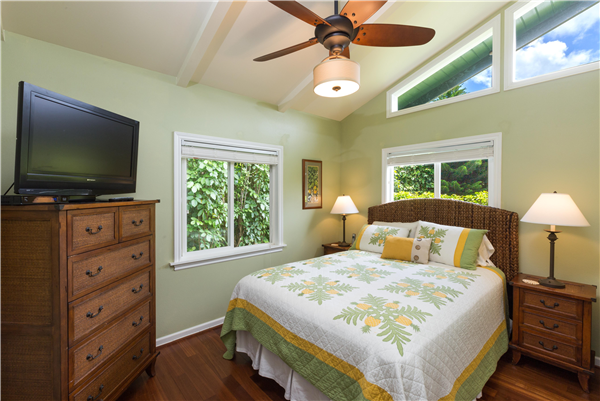 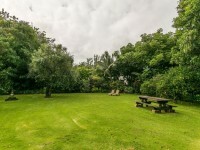 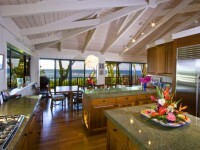 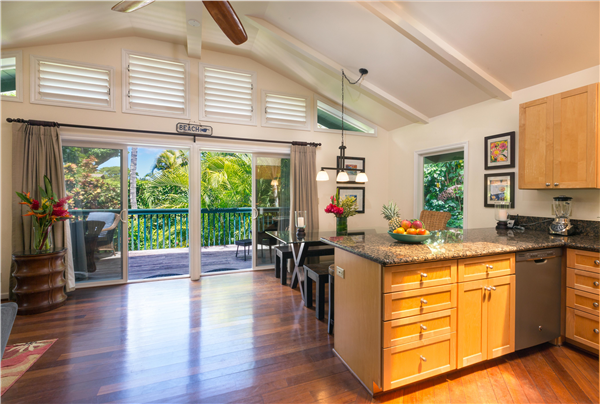 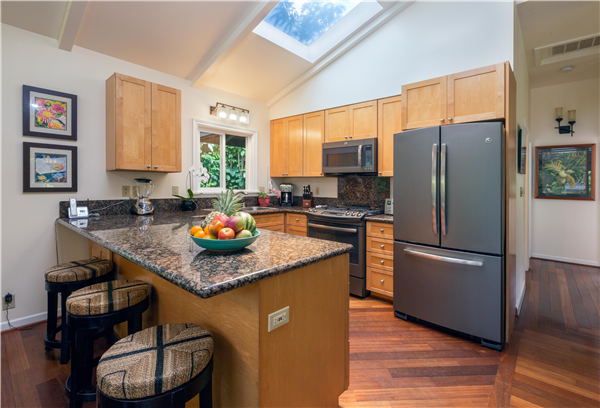 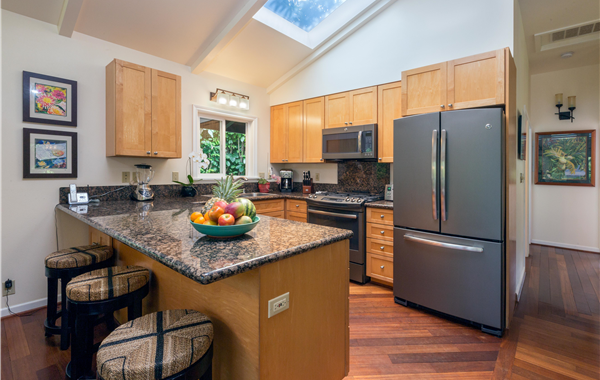 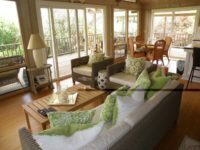 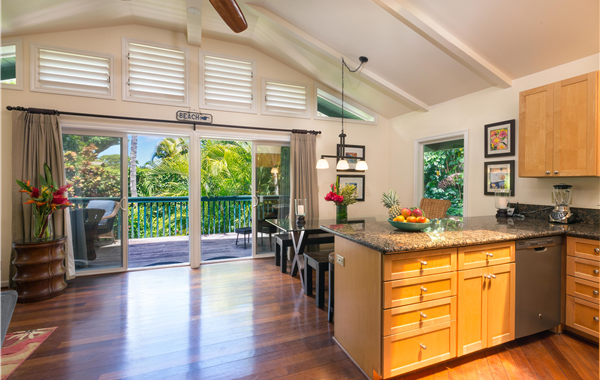 HAENA, KAUAI VACATION RENTAL: Mapuana Haena is a beautiful upscale 4 bedroom, 2 bath Hawaiian Vacation Home located in the peaceful and tranquil community of Haena on the island of Kaua’i. 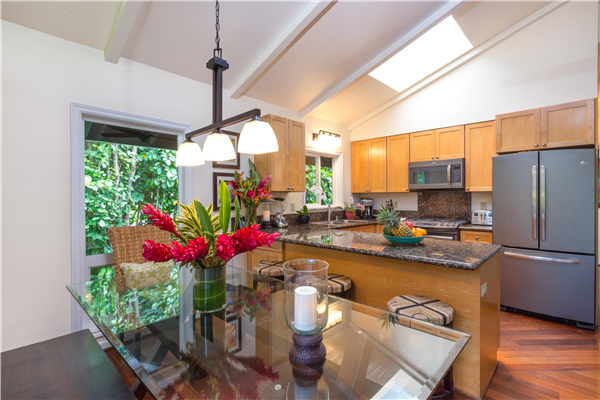 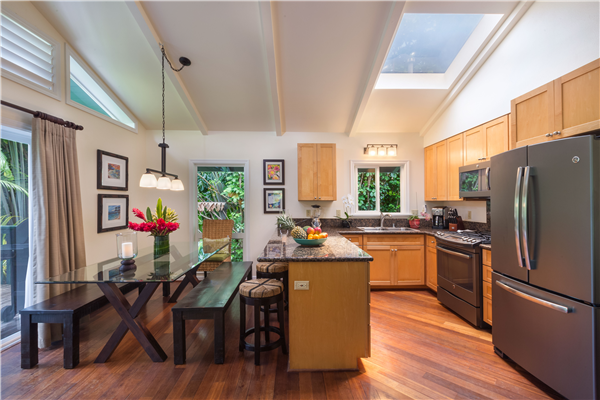 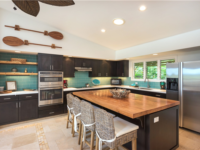 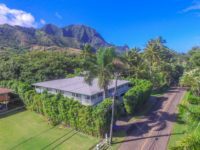 This home is professionally cared for and lovingly maintained and is just a short walk to one of the world’s most desirable and famous Makua “Tunnels” beach. 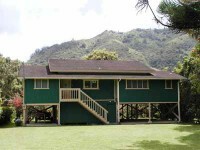 Ideally located Mapuana is on the “Makai” or ocean side of Kuhio Highway. 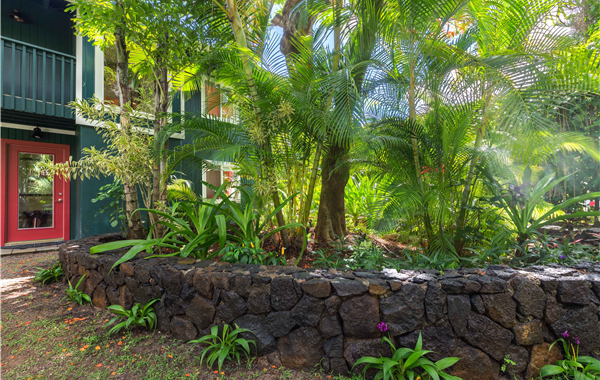 The home is located down a private drive where you are welcomed with a newly designed lava rock flowerbed. 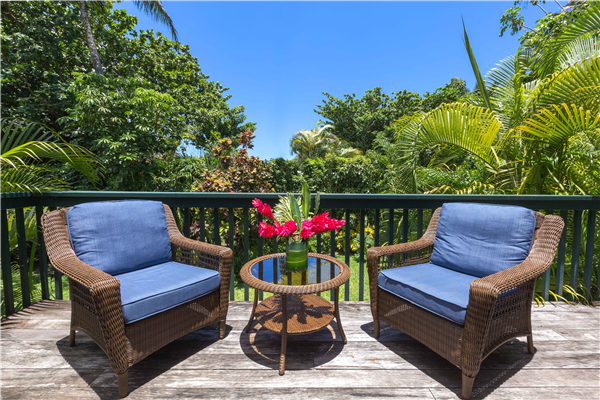 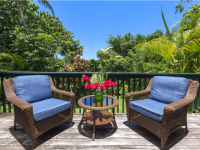 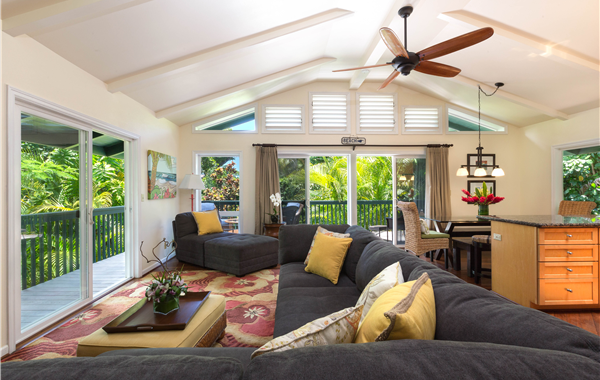 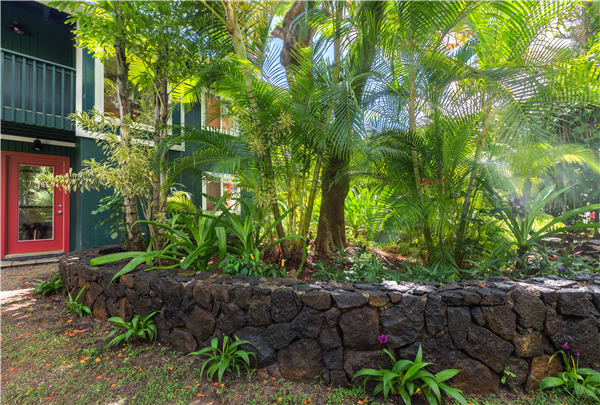 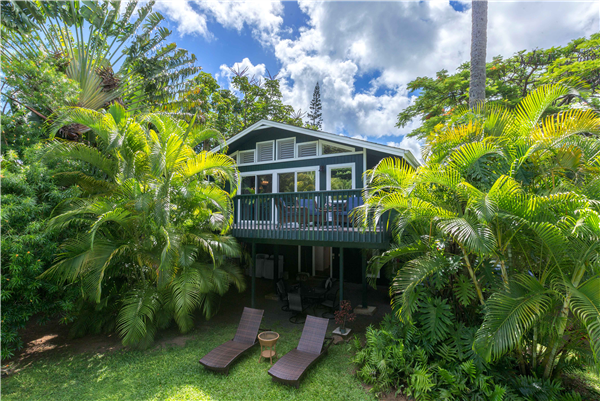 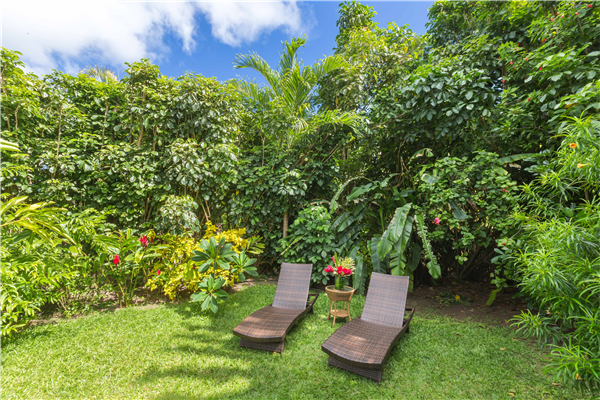 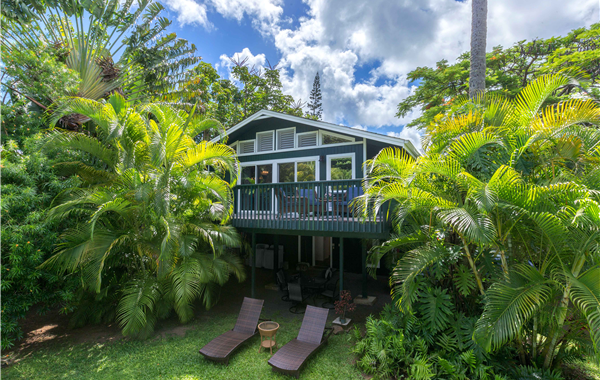 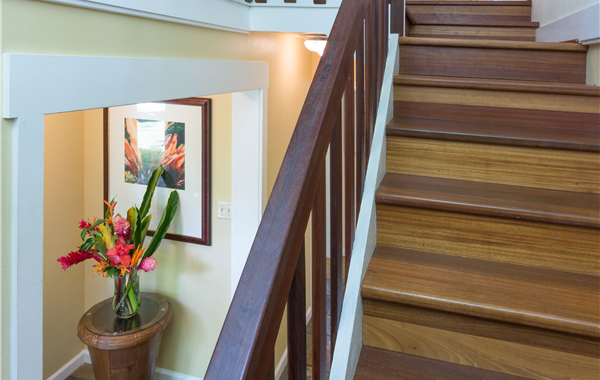 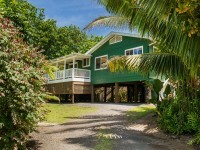 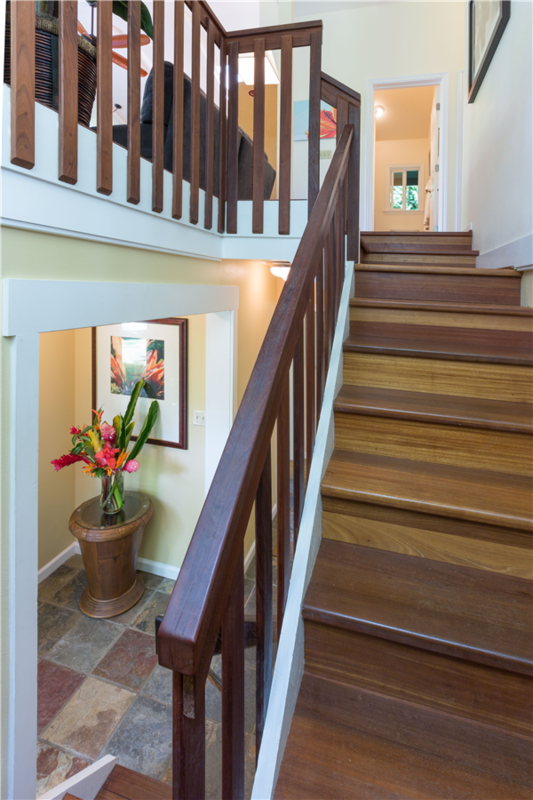 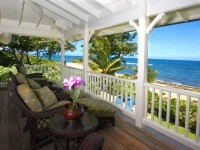 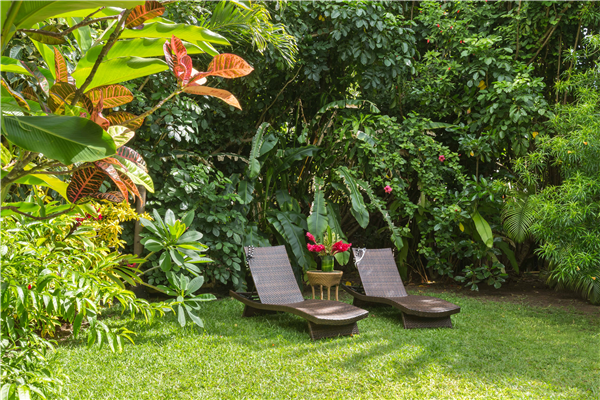 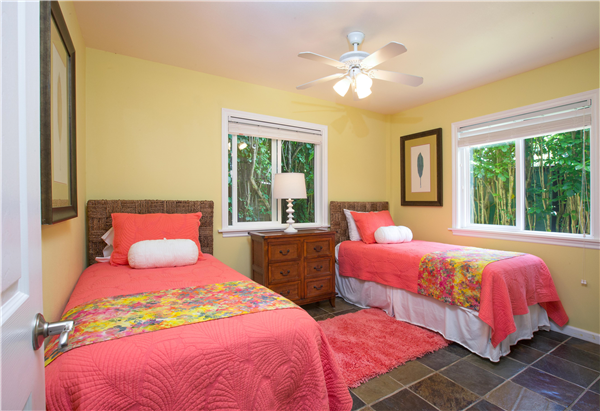 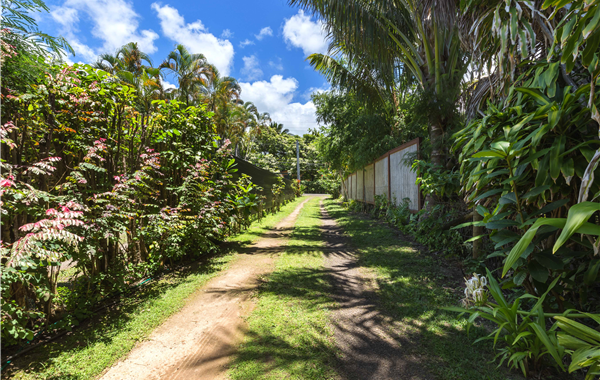 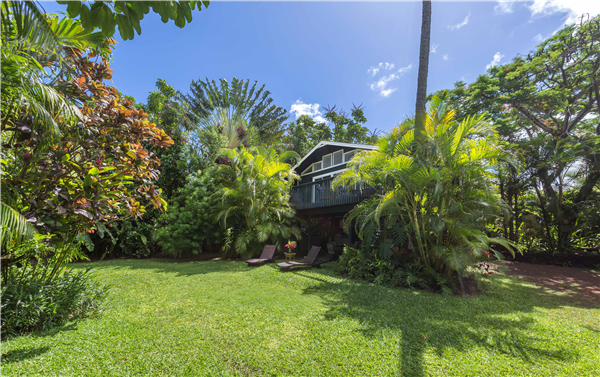 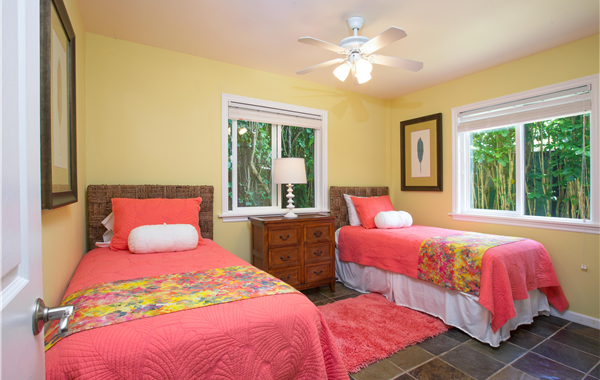 Let the lush tropical foliage greet you and you approach this wonderful Kaua’i home. 4 inviting bedrooms (2 queens, 4 singles) and 2 baths (1 shower, 1 shower/tub), this inviting home is newly updated and upgraded. 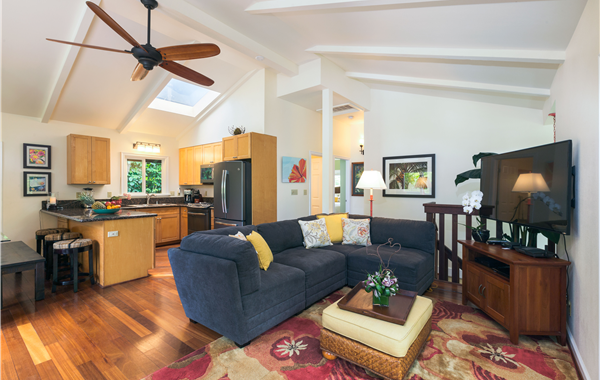 With many features, Mapuana boasts Brazilian hard wood throughout, vaulted ceilings, an open-concept kitchen which flows into the bright and airy living room. 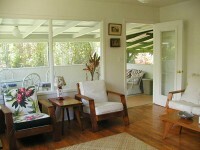 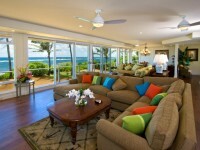 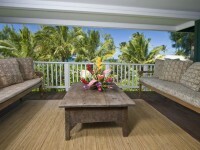 The lanai is off the living room and is equipped with a gas BBQ grill and comfortable lanai furniture. 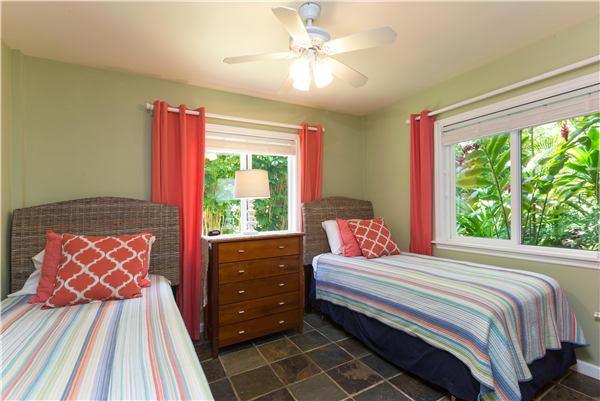 Other amenities include flat screen TV, DVD, Wi-Fi, ceiling fans, fully equipped kitchen, new appliances, beach towels an enclosed outdoor shower and so much more. 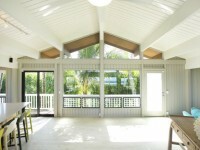 Mapuana is a perfect space for casual island living! 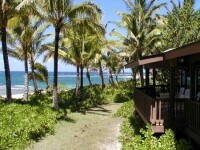 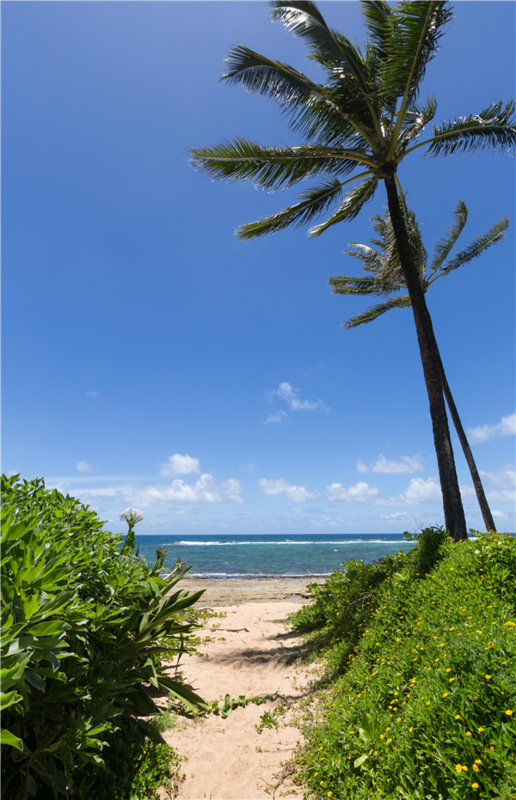 With beach access, Mapuana is just a short distance down the deeded pedestrian access to famous Makua “Tunnels” beach. 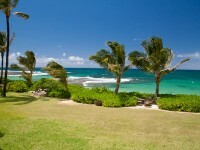 Here you can enjoy world class kite surfing, snorkeling, beach combing and relaxation. 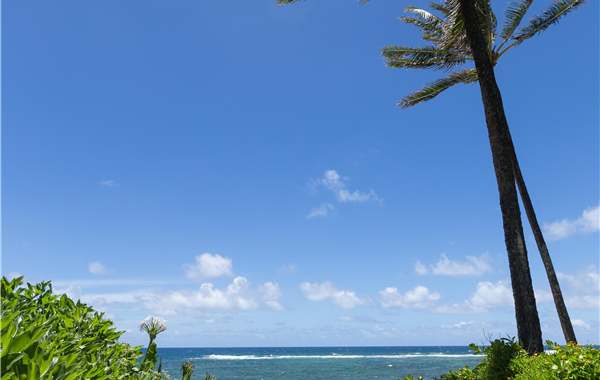 Drive a few miles up the road to the Kalalau trail head or enjoy a magical sunset at Ke’e beach. 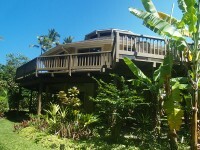 The Mediterranean Gourmet restaurant and Napali Coffee house are within close driving distance as well.